Those fears proved baseless. The box has been used with increasing frequency for over two full years. 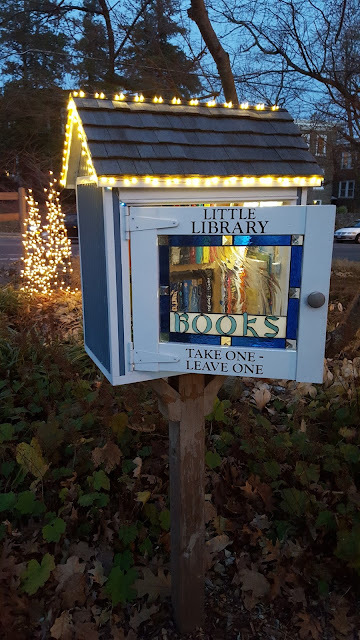 Folks are often seen coming to drop off or select books at all hours. Kids often make a B-line to see what might be worth going home with as their parents catch up and help survey the pickin's. Given all that community love our LFL has gotten, we thought it best not let seasonal darkness reduce what has become an important draw to the park. 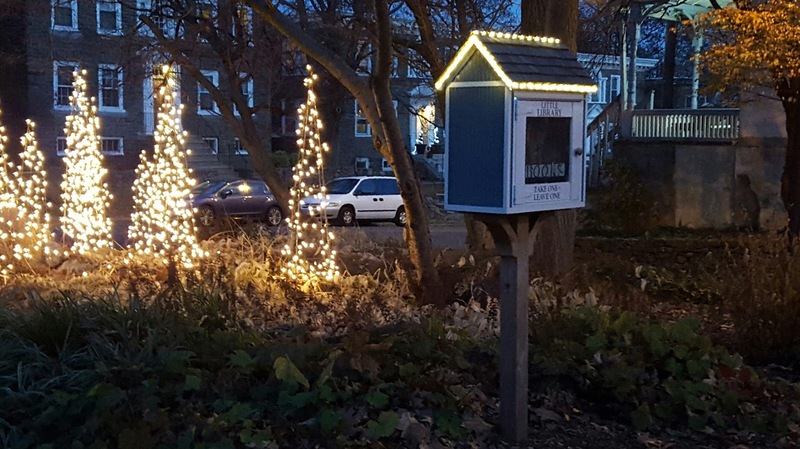 Enter the LFL's own holiday lighting scheme! 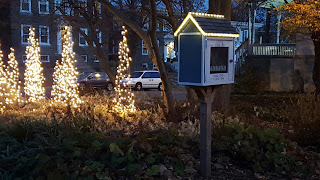 Just 'cauz we gussied up the park with showy sparkly lights doesn't mean we want to diminish our beloved literacy enhancing device. So, next time you are in the park, see if there's a book you might like to take with you!! !